I am a marriage and family therapist from Southern California with over 10 years of experience working in private practice. Throughout my career, I've worked in different settings with many populations, including providing treatment to clients with depression, anxiety, addiction, Autism and other developmental disorders, relationship and family issues, issues of confidence, self-esteem and motivation, and I specialize in working with clients that are looking to find their path and purpose in life. 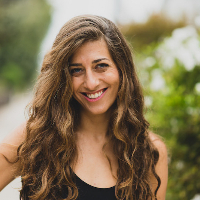 In addition to being an MFT, I'm a certified yoga teacher and I promote an overall program of wellness through mental, physical & spiritual health and nutrition. My clients enjoy the warm rapport they have with me. I approach each client from a unique perspective as each client is unique. I collaborate with them to understand their needs and goals, and from there I create a treatment plan that is special for them. I believe that each client has a story that can be retold in a new way, and a story that is still being written, so the middle and ending can change as the client transforms. The approaches I use are a blend of cognitive-behavioral and humanistic, as well as various techniques from other theories (as appropriate for the client). The first step towards healing and living a fulfilling and enriching life is to reach out to those who can support you, and I'm always honored to provide that support to my clients. If you feel like I could be the person to help you, please don't hesitate to contact me. Together, my clients and I create magic! Rima is very kind, proactive and honest. I appreciate her expertise, challenges and sound advice. She’s been the perfect accountability coach. I appreciate her guidance through this chapter, and am so grateful to have found her. I am so grateful to have found BetterHelp and to work with Rima Jomaa. I am navigating some major life transitions and Rima has provided a much needed source of support and inspiration for me. She’s a highly compassionate counselor and coach. Her responses are thoughtful and timely. She is direct with me and her insights are definitely challenging me to grow and trust in my path. She’s turned me on to outside resources (books, websites, practices) that are relevant supplements to our work in the app. I’ve worked in therapy on and off over the years and see great value in Better Help. Rima has been a tremendous source of support for me, in the month that we have been working together. She has been amazingly responsive and intuitive about me. She has provided me with several strategies and resources to address my specific concerns and issues. She also responds to me very quickly, and that has helped during tough times. It is clear that Rima has had a lot of experience with other men that share the same issues as I do, and she helps me put my issues into perspective and offer potential solutions based on the experience of others. I have had a wonderful experience with Rima, and I look forward to our sessions together. I am grateful I took the chance and got paired with Rima. She understood what was troubling me, really quickly had some supportive actionable suggestions, and asked the right questions to get to the heart of my distress. She is compassionate, practical, and understands the nuances of creative work. I am so relieved to be feeling better -- my friends and family have even noticed the change in me. Thank you Rima! Rima has been great so far but my review should be taken with a grain of salt as I have only been working with her for a little over a week. For the week we have been working together though, she has been great and is giving me the tools that I hope will lead to a successful journey. She is very responsive and as of now, I believe she will be the ideal person to guide me through this process. Rima is like a godsend for me! I was in a really dark place when she magically dropped into my life. I really appreciate her perspective and all the resources she’s been bringing into my life. Rima has been completely thorough from the very beginning. She really listens to all my needs, worries, troubles, and everything I need help with. She's perfect for the job in every way possible. I would recommend her to anyone that needs their mental health addressed in any way. I have just recently started working with Rima and she is absolutely amazing. I don’t know how BetterHelp could have paired me with a more perfect match. She is compassionate, patient, and honest. When I wanted to seek counseling, I was worried about being able to connect with a stranger on the internet but she has been so warm and welcoming from the beginning. I can’t wait to continue my journey with her! Would you like to write a review for Rima Jomaa? We'd appreciate if you can spend a couple of minutes to write a short review for Rima Jomaa (MA, LMFT). This review would be shared with Rima Jomaa. It may also be posted in our website or in Rima Jomaa's profile but it would be anonymous and your identity would be kept completely confidential.